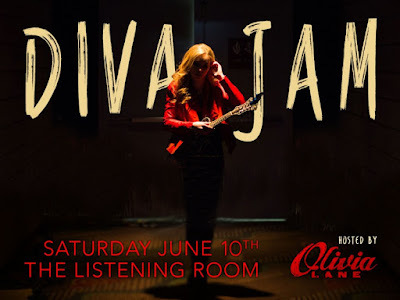 Olivia Lane Set to Host 4th Annual Diva Jam! Olivia Lane has announced that she will be hosting the 4th Annual Diva Jam on Saturday, June 10, 2017 at 2 PM! This annual event that takes place at the Listening Room during CMA Fest features performances by up and coming female country artists. Lineup and ticket details to be announced soon!